Today A' Design Award & Competition has released its annual call for entries to A' International Pet Supplies and Products for Animals Design Awards. The A' Pet Supplies and Products for Animals Design Award is open for entries by Industrial Designers, Pet Supplies Producers, Manufacturers of Products for Animals and Animals Product Packaging Designers worldwide. The Annual Design Award for Pet Supplies and Products for Animals is not just an design award, it is the indicator of quality and perfection in design, the award is renowned worldwide and brings the attention of design oriented companies, professionals and interest groups. Winning the A' Award is a certificate of excellence for designers, prove of creation of excellent product or service. The A' International Pet Supplies and Products for Animals Design Awards is a two-phase competition. The first phase of the competition is free to enter. Industrial Designers, Pet Supplies Producers, Manufacturers of Products for Animals and Packaging Designers can register at A’ Design Awards to submit a work for preliminary evaluation. Projects that pass the preliminaries can proceed with nomination for Pet Supply Awards. 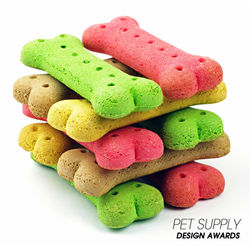 Deadline for entries to A' Pet Supplies and Products for Animals Design Awards is on February 28, 2016 with results announcement on April 15, 2016. Laureates of the A' Pet Supplies and Products for Animals Design Awards will be granted the highly coveted A’ Design Prize that includes a series of PR, marketing and publicity tools together with Design Excellence Certificate, Exclusive Design Award Trophy, Lifetime license to use the A' Pet Supplies and Products for Animals Design Awards Winner Logo, Yearbook of Best Designs, Exhibitions of Awarded Works and Two-Person Invitation to Design Awards’ Gala-Night in Como Lake, Italy. Moreover, winners of the A' International Pet Supplies and Products for Animals Design Awards will get an exclusive interview which will be published at Designer Interviews together with the Winners’ Press Kits distribution among thousands of press members who have gained press accreditation from A’ Design Awards. The A’ Design Award & Competition has been established to promote and recognize the very best design projects in all countries and in all creative disciplines. Thus, the International Pet Supply Awards organized yearly by A’ Design Award & Competition is aimed to create a global awareness and understanding for good design practices and principles. The ultimate aim of the International Pet Supply Awards is to push designers, companies and brands worldwide to create superior products and projects that benefit society and create a positive impact.